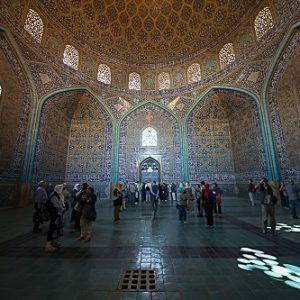 UNESCO World heritage site, Iran’s third largest city, famous for its Islamic architecture, with many beautiful National parks, boulevards, covered bridges, palaces, mosques, ski resorts, and minarets. Isfahan grandeur the famous 16 century half-rhyme “Isfahan nesf-e jahan” (Isfahan is half of the world). Isfahan is well known for having historical bridges like The Kaju Bridge, built in 1650 c.e cuts across the Zayandeh River. Serve not only as a bridge but also a dam and a public meeting. Khaju’s lower level is good for a walk, relax on the bench and enjoy the scenery of the place. Isfahan is Iran’s second largest metropolitan area. Whether you’re in town for tourism or business, many places are worth a visit. 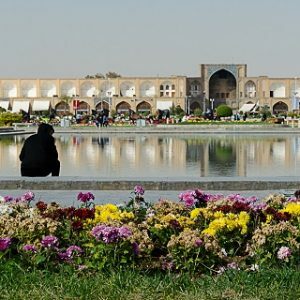 The best time to visit Isfahan is during spring and fall, although the temperatures are comfortable year-round and it never gets too humid. As one of the most important historical cities in Iran, Isfahan was known in the Sassanian period as Spadan or Spahan. 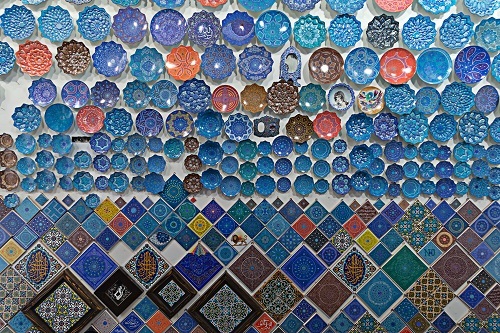 For over three hundred years Isfahan has been the main attraction for travelers in Iran. 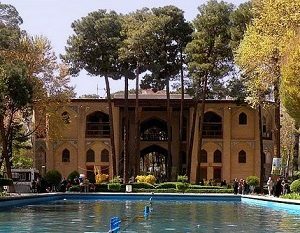 Located on the banks of the Zayandeh-Rud River. Isfahani’s moment of glory came in the 17th century when the town was reconstructed by the Safavid King Shah Abbas the Great, who moved the Safavid Capital from Qazvin to Isfahan to unsurpassed beauty. Today people still marvel at its magnificence. Isfahan is located on the main north-south and east-west routes crossing Iran. It flourished from 1050 to 1722, particularly in the 16th century under the Safavid dynasty, when it became the capital of Persia for the second time in its history. Even today, the city retains much of its past glory. Imam square in Isfahan is one of the biggest city squares in the world and an outstanding example of Iranian and Islamic architecture. It has been designated by UNESCO as a World Heritage Site. The square is framed by a wall of blind arches and surrounds the Imam Mosque, noted as the supreme perfection of Islamic architecture with its colorful detailed work ranking among the world’s best tile works. One of the most beautiful palace in the world of its time, Constructed in 1660 AD by the decree of Shah Soleiman, this is the palace where the last kings of the Safavid period were living. It is a two floored palace with eight separate units. What makes this palace beautiful and interesting are the tile works of birds and wild animals decorating the exterior view of this palace. In the middle of the palace an octahedral basin, which is filled through the fountains from the bottom of the basin, absorbs our attention. By looking around the palace we can see that this palace is most beautiful during the springs and summers. It is mostly an open building with four porches on four sides. On entering its different rooms we can see beautiful paintings quite different from each other being Indicative of the genius of the architect. 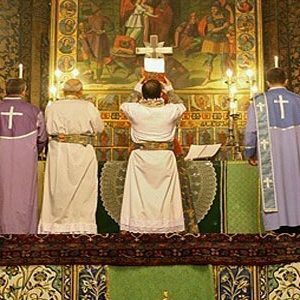 In the area of Jolfa, where most of the Armenians of the city are living, there are nine churches the most important of which is called Vank or Amena Perkich Cathedral constructed in the Safavid dynasty in 1664 AD. The beautiful paintings, including flowers, trees, the life of Jesus, the holy saints, and the interesting tile workings, have all made this Church one the most glorious and beautiful churches of the city. In the yard of the church, we can also see the tombs of some of the Armenian martyrs and bishops. There is also a very interesting two-floored beautiful museum beside this church. In this museum there are antiques including costumes of Armenian ladies, old bibles, and weapons of four centuries ago. It is one of the most important museums of the city.